Indoor moonwalk with 100 square feet of jumping room. 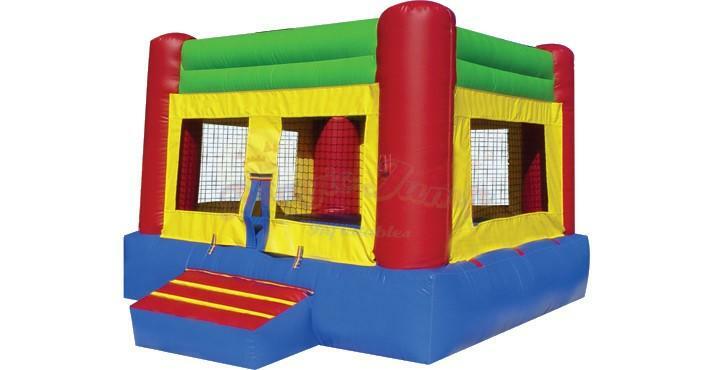 This inflatable is designed for indoor locations or areas where the height is an issue. It is only 8ft tall. Best for ages 3-8 years old. This unit reqs. 13ft x 13ft x 8ft in actual space, power within 75ft of a dedicated electrical outlet..